There are a great deal of advantages of hiring a private driver as part of your holiday around Ireland. We have listed the most common 8 reasons that we have found. – These are just a few of the terms that our clients are happy to forget about. Your private driver at Atlantic Way can look after all of these, ensuring your time is spent enjoying the sights and planning your next adventure. 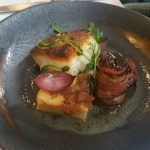 – there are many great options for dining in Ireland. Most Irish restaurants use locally sourced produce of a very high standard. Atlantic Way can organise your lunch and dinner reservations. – our personal drivers are your tour guide and will be happy to answer any questions you have during the journey. You driver will transport you to some exclusive hidden gems. You will visit the top tourist locations also. – need longer or shorter at any location – stop where you want for photos. Atlantic Way works with small tours from 2 to 7 people, to enable us to meet everyone’s expectations. We are adaptable to changes in weather conditions and can offer alternatives that may suit the day’s weather better. 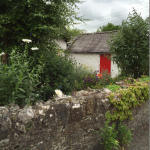 – All our Irish private drivers have intimate knowledge of the history and folklore throughout Ireland. Our satisfaction rate is 100% and our customers write about their experiences with us through Trip Advisor where we have an rating of Excellence. I believe that some of them have kissed the Blarney stone a few times. – We at Atlantic Way have some set tours to give you an idea of what’s available in different areas, we can work with you to ensure your tour is customised to suit your group. – Relax and enjoy the views in between locations – Air conditioning and Free wifi onboard which enables you to keep your social media up to date to make your friends jealous. Also, enjoy the safety and security of knowing your driver for risk free travel. – Best way to combine all the sights in North of Ireland as well as the Republic to fit your holiday plans. 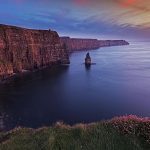 We cover from the Giants Causeway in the North, Cliffs of Moher in the West, the capital Dublin in the East, to the beautiful city of Cork in the South and all locations in between.